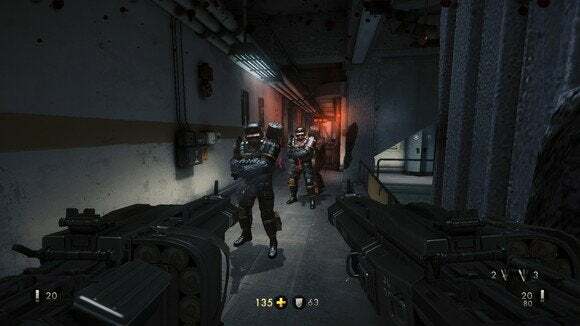 If you're having problems playing Wolfenstein: The New Order with either an AMD or Nvidia graphics card, you're not alone. Both PC Gamer and Rock Paper Shotgun have reported crashes, extremely low frame rates, texture pop-in issues, and white screens appearing during load times. Their accounts mirror complaints found in many Wolfenstein forums. While Rock Paper Shotgun resolved the problems by using an older Nvidia card, PC Gamer ran into trouble with both Nvidia and AMD GPUs. It's worth noting that PCWorld's Hayden Dingman reviewed the game on PC with an AMD graphics card and didn't have any issues. AMD users can try rolling back to an older version of AMD's catalyst software, and update their drivers without installing the Catalyst update simultaneously. Nvidia users can go into the GeForce Experience application and check the “include beta drivers” checkbox. The 337.50 beta drivers reportedly resolve some problems. Users of both cards can try turning off Screen Space Reflections in Advanced Video Settings, set Shadow Resolution to lowest, Run as Administrator and in Windows 7 compatibility mode, turn off triple buffering in driver settings and dial resolution down to 720p. This excellent NotebookReview forum post has potential fixes for a slew of additional problems laptop gamer can face, including problems you may run into while trying to play the game on a PC with multiple graphics cards and error messages you may encounter while trying to play Wolfenstein on Windows 8 or 8.1.